The Veho Muvi Pro Micro DV Camcorder is well built and is virtually indestructible. It’s the perfect device to capture action with time stamped evidence. The micro sized MUVI™ Pro, measuring only 55mm high x 20mm wide x 20mm deep is the smallest digital video camera in the market. It features a high resolution 2mp lens and captures video at 30 frames per second which is amazing for a camera of its category. The MUVI™’s intuitive design helps to record videos in situations or at places where it may be impossible to use a standard camcorder. With the Extreme Sports Pack , MUVI™ will allow the user to capture high quality footage hands free. The camera is indestructible and you don’t have to worry about it with its robust thumb-sized alloy metal casing. The video captured by the MUVI™ is in AVI format which is stored on the 4GB micro SD card (that comes pre-packaged), which is enough to store 80 minutes of recording. With the built in lithium ion battery, the camera can seamlessly record for 70-90 minutes which can meet most needs. It also easily connects to your computer via micro USB 2.0 port, so that you can upload your videos or also charge the device while ensuring complete portability. The camcorder is available at www.amazon.com and comes at a price of $54.99 with 4 GB micro SD card included. 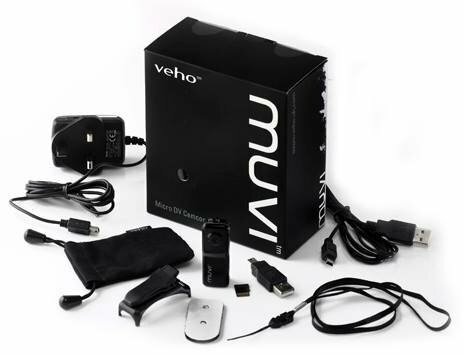 The box includes a VCC-003-Pro MUVI™ Micro Camcorder, a 4GB Micro SD Card, a USB cable, a spring mounting clip, a Neck chain- Carrying pouch, Webcam software and a user manual. 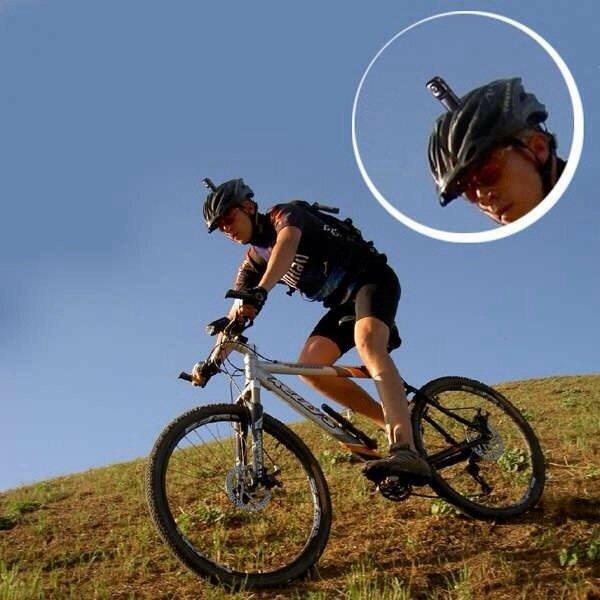 The Camcorder is ideal for those who enjoy extreme stuff, surfing, skating, cycling or even swimming as the included clip allows it to be attached to various items. It also features a standby voice activated start/stop recording mode that enables it to be used without hands when you need them for other things. Accessories that are available for the cam include an Extreme Sports Pack for mounting the camera on items, such as helmets, for when your mountain biking, skateboarding, skiing etc. With the supported accessories you’ll be able to capture the action as it happens with much ease. One of the most interesting feature of this camera is the mandatory times stamp on each captured picture. With this feature the camcorder can more or less as a security camera. It makes it a perfect nanny cam or spy cam while you are out of the house. The time stamped evidence helps amazingly in covert situations to report stuff. As the manufacturer states “Do you have anti-social behavior problems? Are you constantly being knocked off your bike? Are you a doorman, police officer, traffic warden? 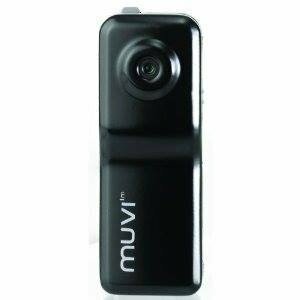 The MUVI™ Pro is perfect for you”. The spy cam functionality adds a whole different dimension to action cameras and recording on spot action. A lot of users have found the time stamp annoying as the feature could not be turned off but nevertheless it is great for evidence. We have to say we were really impressed with this! The cam is so small and barely visible, can literally be used anywhere. With the optional clip it can be clipped anywhere, even on a parachute owing to its durability. You can clip it to your belt while walking and no one will ever notice. The only negative might be the lack of support for USB 3.0 and the long time it takes to upload your clips to a computer. The camcorder is really versatile as the company claims and absolutely worth your money. As long as you don’t care for more pixels or the mandatory time stamp this is the action camera to buy.